Each reel contains 30 metres of gold coloured wire thread, 0.25mm thick. 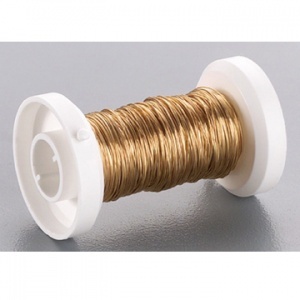 Using this wire to wrap around thicker wires in my jewellery projects. It's easy to use and is a lovely colour.